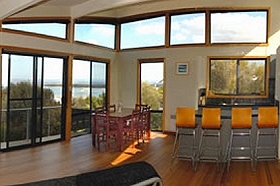 Sheoaks is a modern, waterfront bed and breakfast at Coles Bay, on Tasmania’s Freycinet Peninsula. 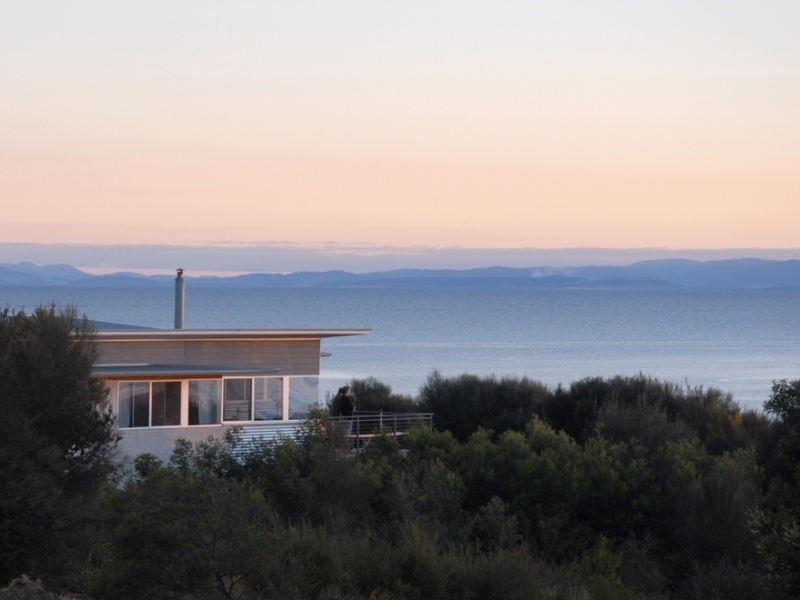 Custom-designed by a leading Tasmanian architect, this passive solar house appears to float on the sea. Décor is a mix of modern and restored cottage furniture, creating a welcoming beach-house feel. 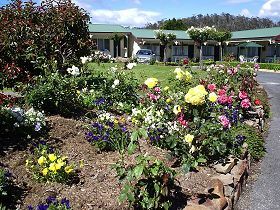 Sheoaks provides three ensuite bedrooms with queen or twin/king beds, a guest sitting room, dining room and outdoor deck, all with sea views. Bedrooms are individually heated. A wood heater provides winter coziness in the sitting room. Join other guests in the dining room for delicious cooked breakfasts showcasing fresh Tasmanian produce. 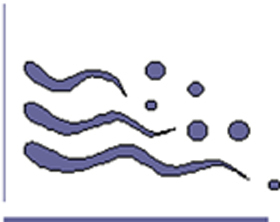 Walkers lunches, light snacks, evening meals and celebration packages are available. Special dietary requirements can be accommodated. Qualified tour guides, your hosts are happy to advise on the many holiday activities available in Freycinet National Park. 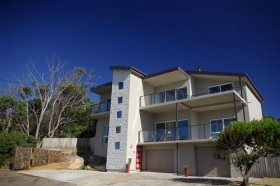 Sheoaks also manage six self-catering properties in Coles Bay. Choose from two-bedrooms (Ar lan y môr and Beachcomber) or three-bedrooms (Moana View, Rumah Kita, Currawong and Waterline). 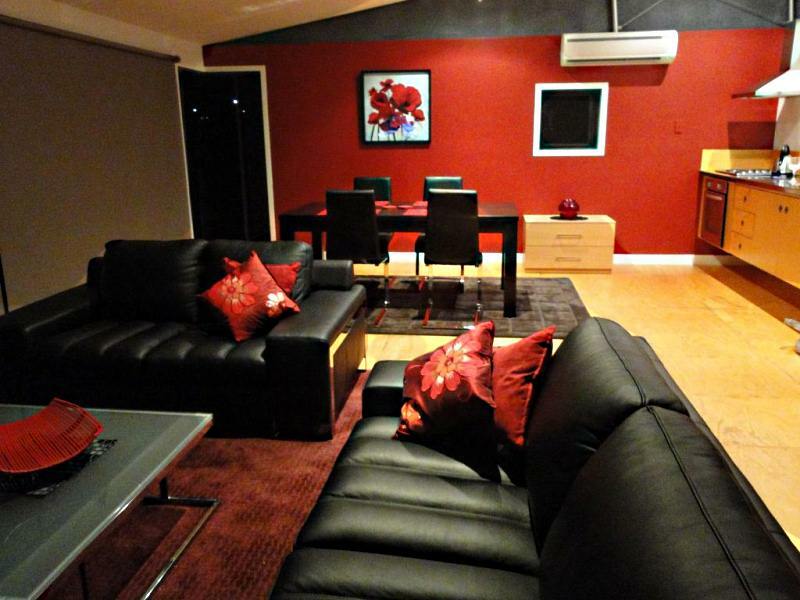 All are comfortable, well equipped and have great sea views – perfect for a beach holiday. Coles Bay is a two-and-a-half hour drive from Hobart (212 kilometres) and two hours from Launceston (178 kilometres).